Take a seat at the vanity while you get ready for the day in this antique java vanity stool with upholstered seat. 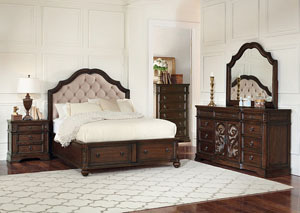 Part of the Ilana Collection, this seat features beautiful wood detailing within the legs in an antique java finish, and upholstered seating for a comfortable place to sit down. 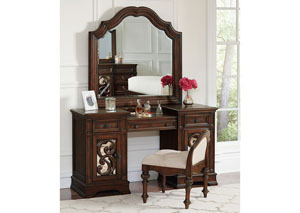 Pair this seat with the elegant Ilana Vanity Desk.